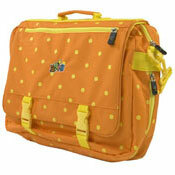 B for Bag offers wide range of kid's luggage for children of all ages. Just click on the relevant category and you can search by luggage type, brand, retailer, and price. The carry on and rollers section includes fun hand luggage for kid's of all ages. 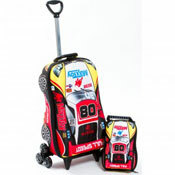 Children rolling luggage is very convenient and understandably very popular. Young kids love rolling their bag, it makes them feel all grown-up. 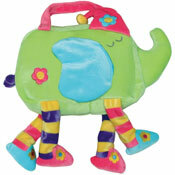 Kid's plush bags are selection of all kinds of soft, cool and fun children luggage. There are vibrant animated backpacks, fun lunch bags, handy overnight bags, adorable blankie bags, practical kids rolling backpacks, just to take few examples. All young kids will love their kid's plush bags. It not only has the practicality of a luggage, it also has the fun of a toy. 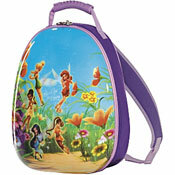 Kid's backpacks are always popular. Children's backpacks are practical, you can fit a lot in them, they are easy to carry on the back and they always look cool. You can also get kid's backpacks with practical features, like integrated cooler, which is great to store food for ever-hungry youngsters. School bags come in all shapes and sizes to fit the needs and taste of schoolchildren of all ages. Practicality is important, but so is style. The look and feel is especially important for the older children. They like to make personal statements with their school bag. 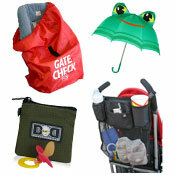 Our kid's accessories includes various clever children travel related accessories, like umbrellas, insulated food jars, lunch boxes, drinking bottles, insulated stroller cooler, stroller travel bag, pacifier pouch, car organizer, car seat travel bag and many more.